Protect the planet you love. Fundraise for Greenpeace. Fundraising for Greenpeace is an incredibly powerful way to make a difference and take action for the planet. Not only will you be raising vital funds to power Greenpeace’s work for a green and peaceful future, you’ll be helping spread the word and building our people-powered movement. Our online fundraising platform will help make your campaign a success. Click "Start Fundraising" below to set up your personalized fundraising page and get started. You are the power behind our campaigns. Ask for donations in lieu of gifts for your birthday, graduation or a holiday. 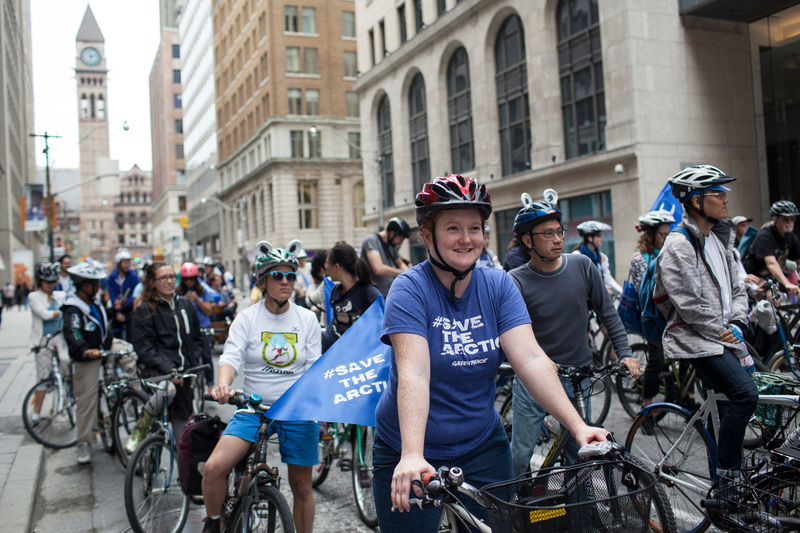 Ask people to sponsor your as you take on a personal challenge like biking to work or school for a month, giving up single-use plastic, going vegan, or running a marathon. For more tips on organizing fundraising events, download our toolkit now.